The hard hat concept comes from Bullard, a hundred-year-old, family-owned manufacturer of personal protective equipment, specializing in industrial head protection, including hard hats, firefighter head protection and continuous flow as well as powered air purifying respiratory protection. 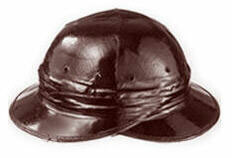 In 1915, Bullard began work on a helmet that could protect miners from falling objects. He based it on the doughboy, a helmet he’d worn as a soldier in World War I. 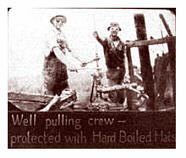 The ‘Hard Boiled® Hat’, patented in 1919, was so called because of the steam used in the manufacturing process,” said Bullard. This year Bullard will be celebrating 100 years of head protection, a worthy Hero of the Month!